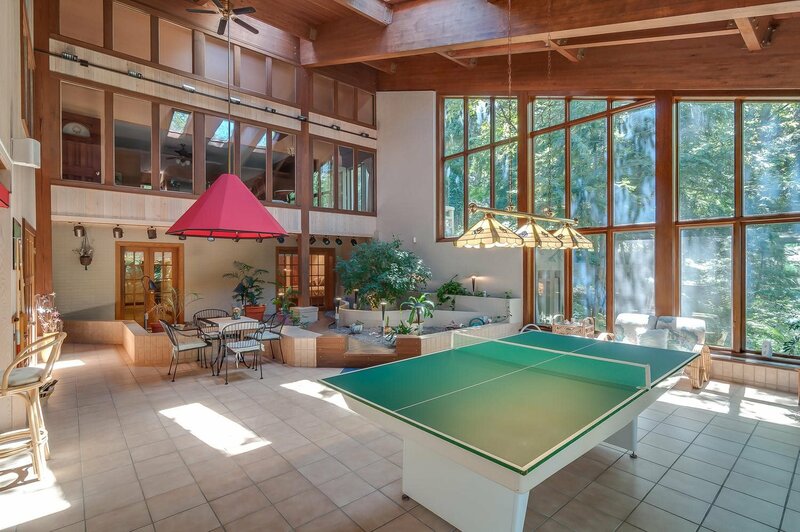 SPECTACULAR HOME & PROPERTY IN EVERY POSSIBLE WAY. 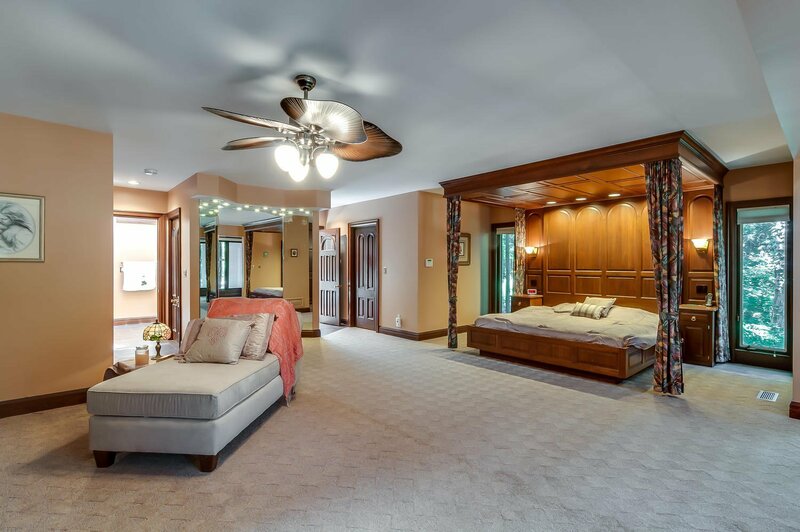 COUNTRY WOODED LIVING IN THE GRAND STYLE, located on the north side of Elkhart, AND JUST MINUTES FROM GRANGER AND NOTRE DAME. 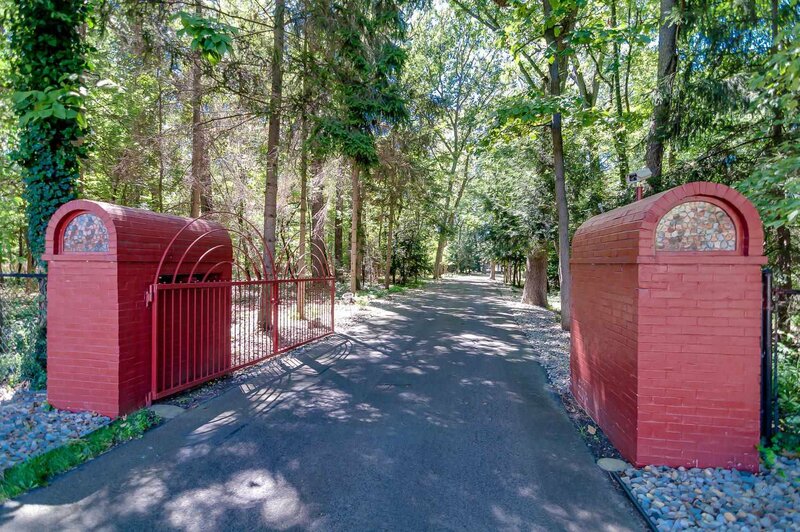 This gated 13,000 sq. 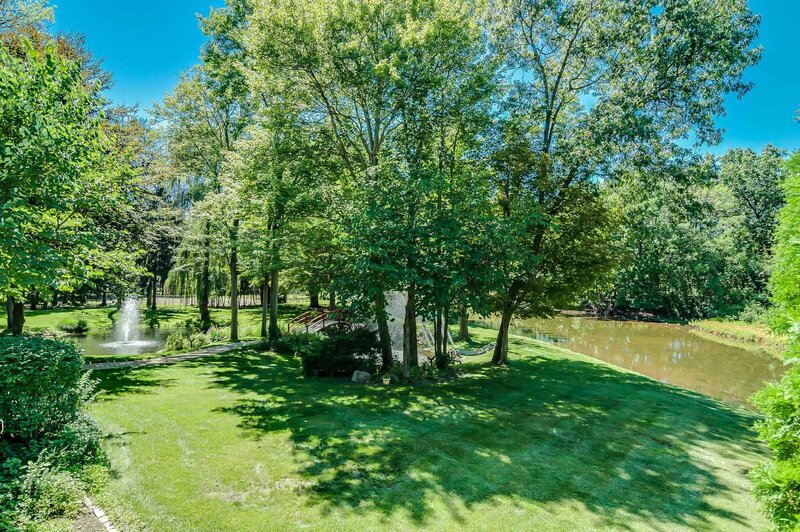 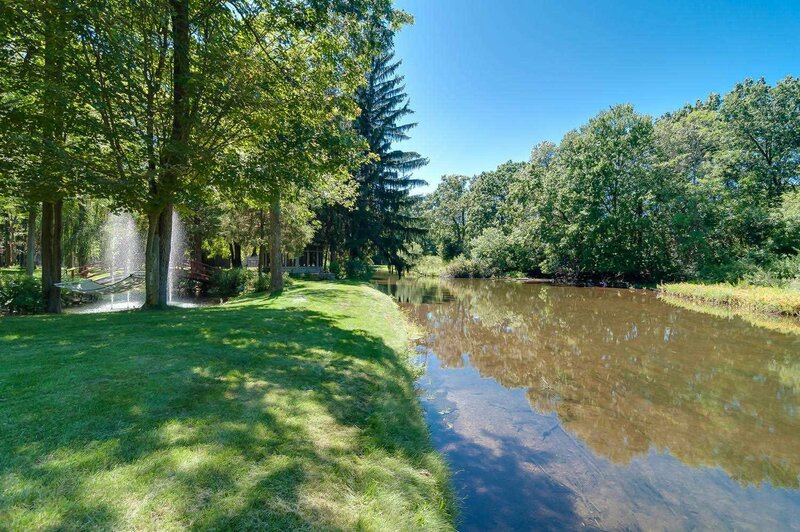 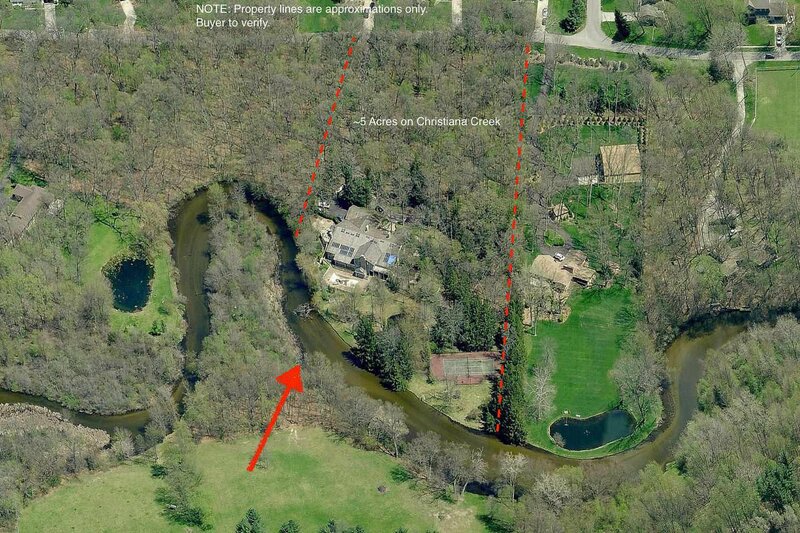 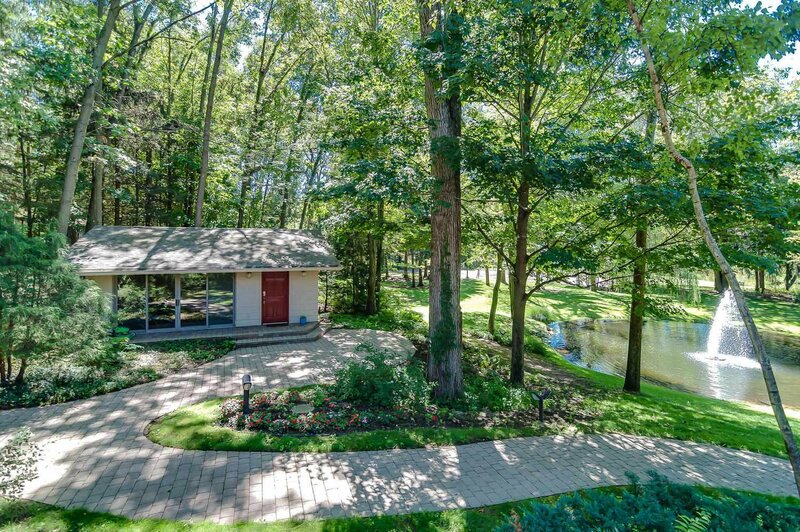 ft. home sits on 5 acres along Christianna Creek. 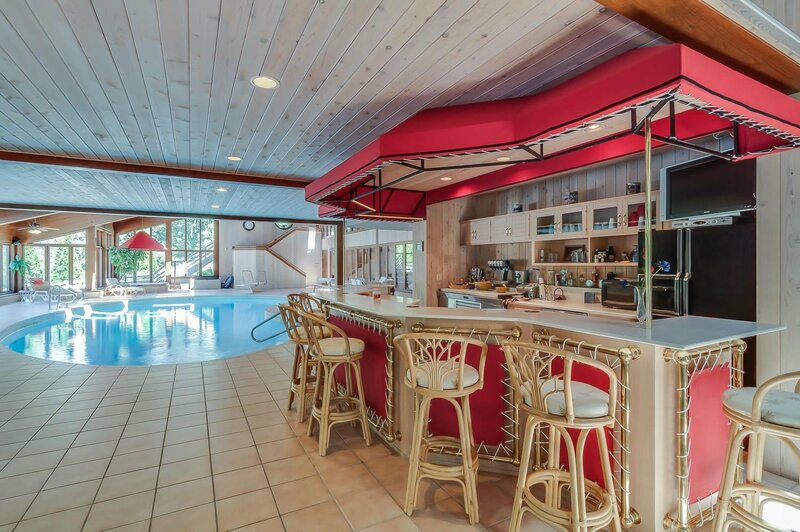 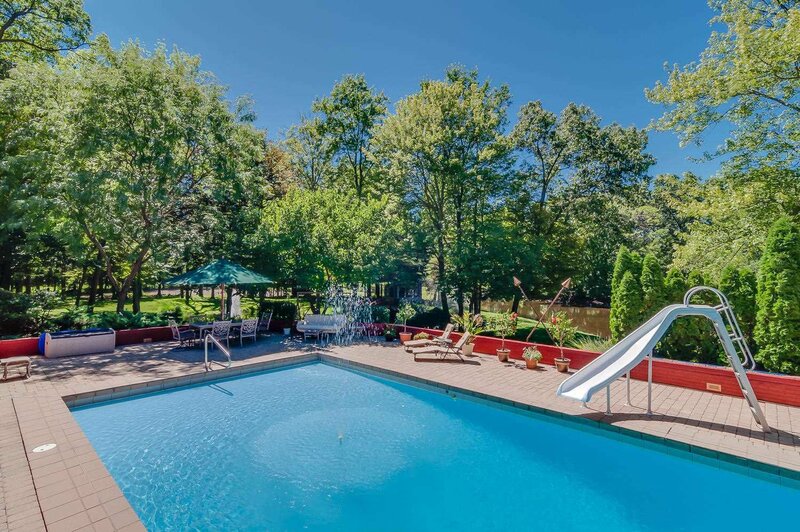 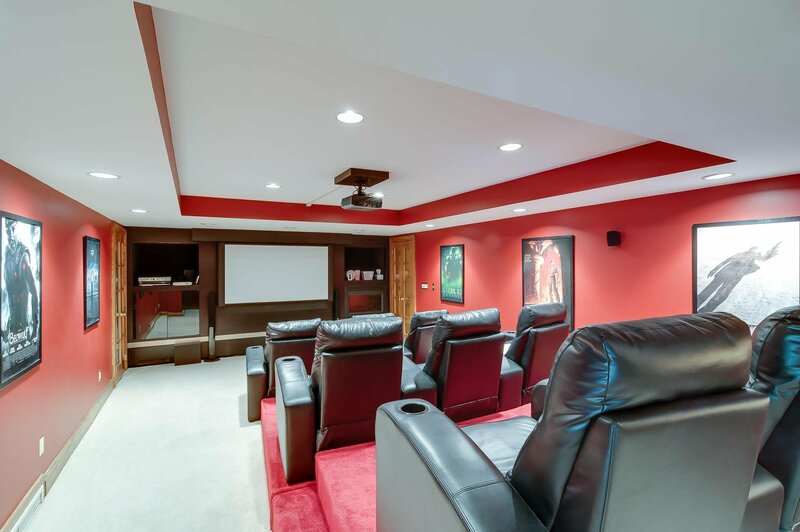 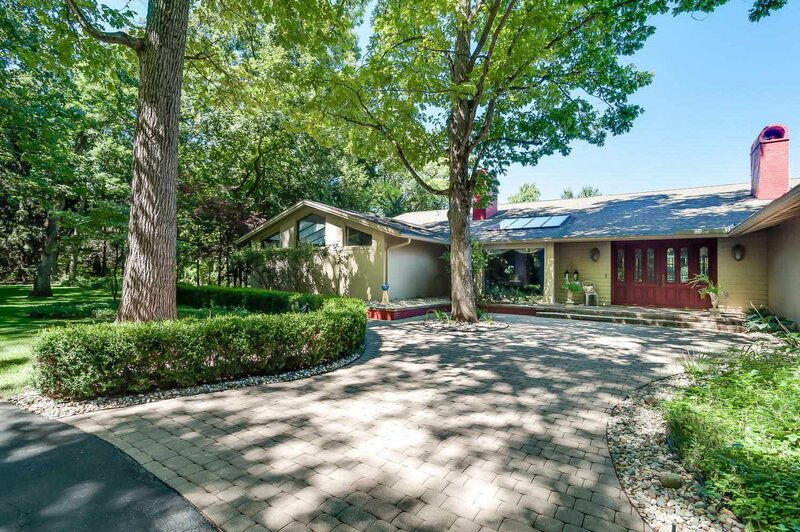 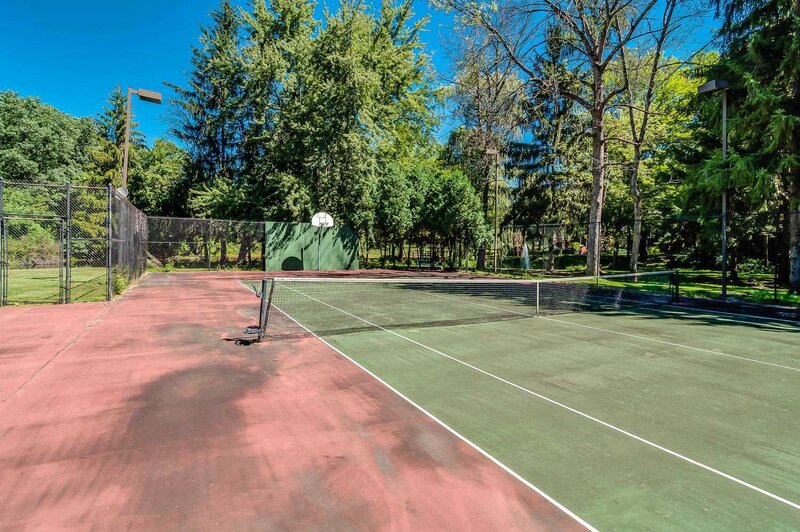 TOTALLY RENOVATED, this home offers 2 SWIMMING POOLS inside and out, each with kitchen, GAZEBO, TENNIS COURT, 9 SEAT MOVIE THEATER, with stadium seating FOR FABULOUS ENTERTAINING. 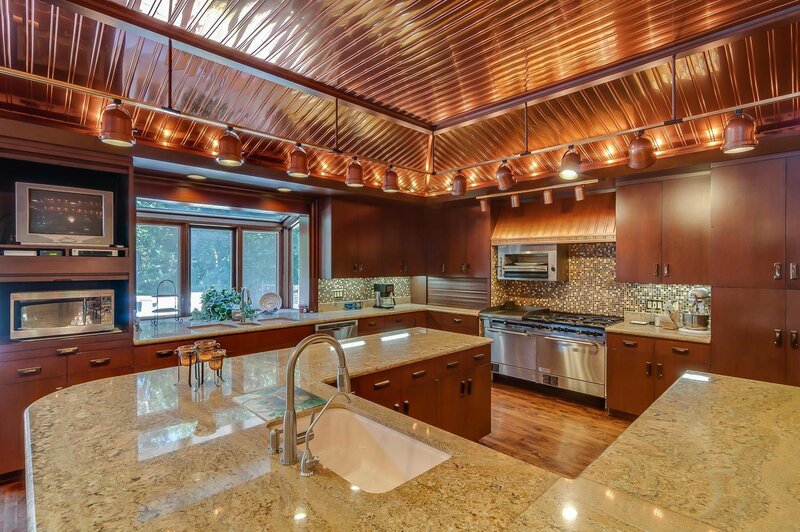 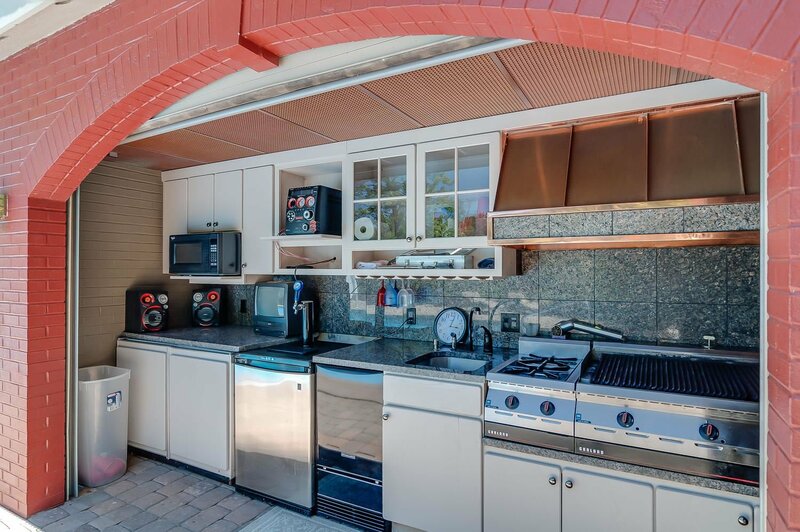 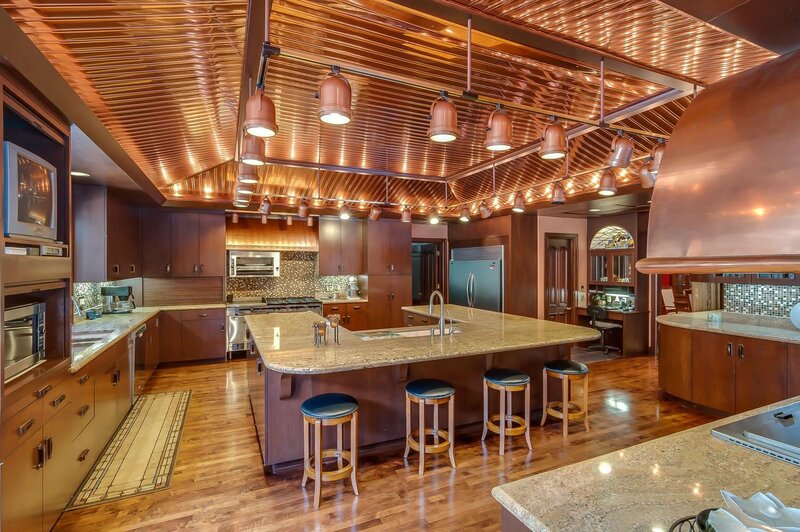 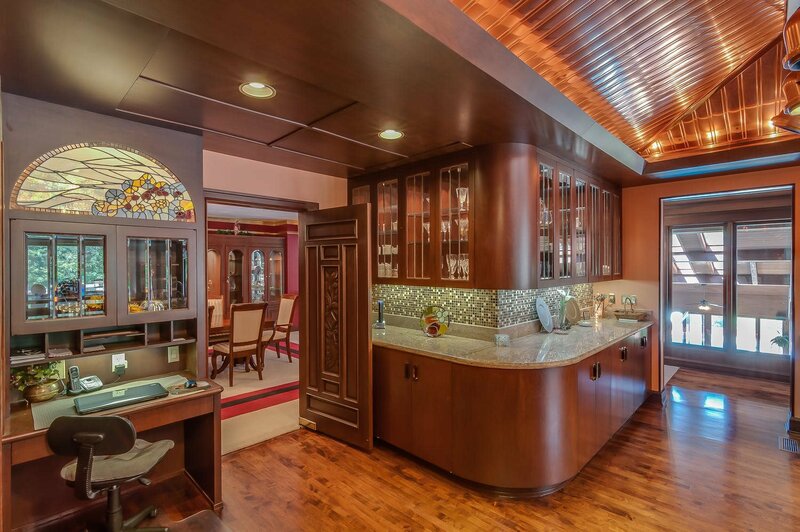 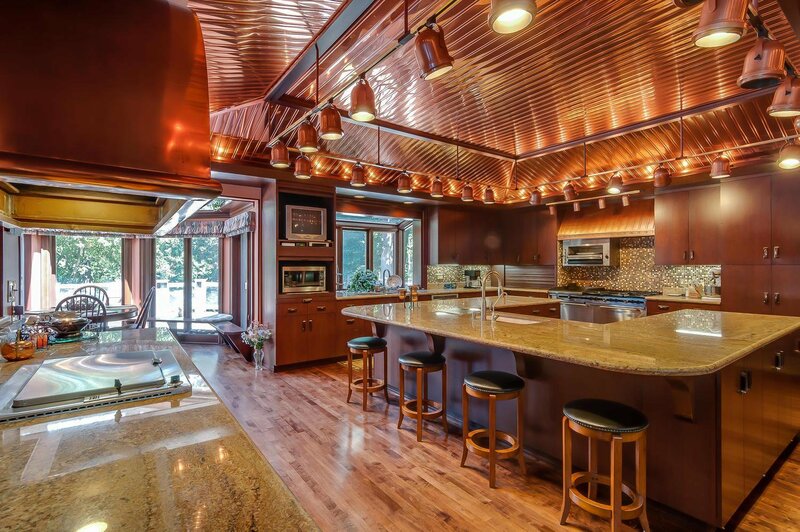 The main level has an amazing gourmet kitchen with copper ceilings and hood, 2 double sinks,Hollywood trac lighting, 6 burner stove,grill and broiler. 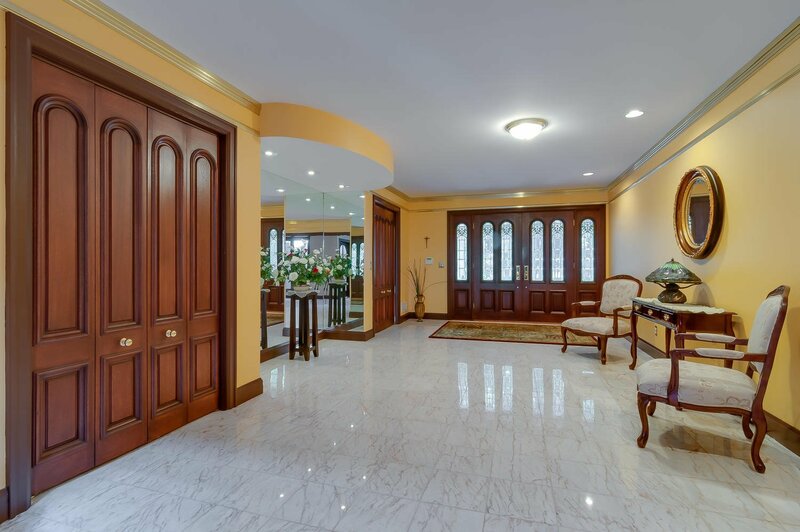 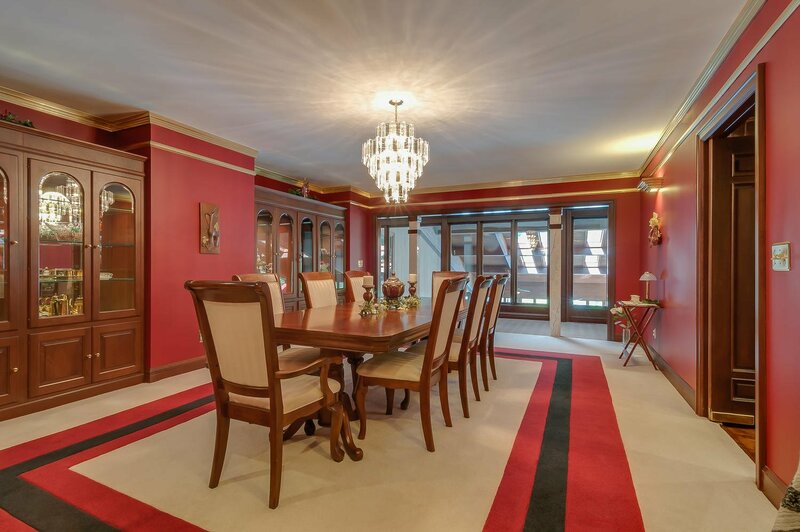 The adjacent formal dining room with a custom designed carpet, is fit for royalty with marble pillars, lighted wood cabinets and overhead chandelier. 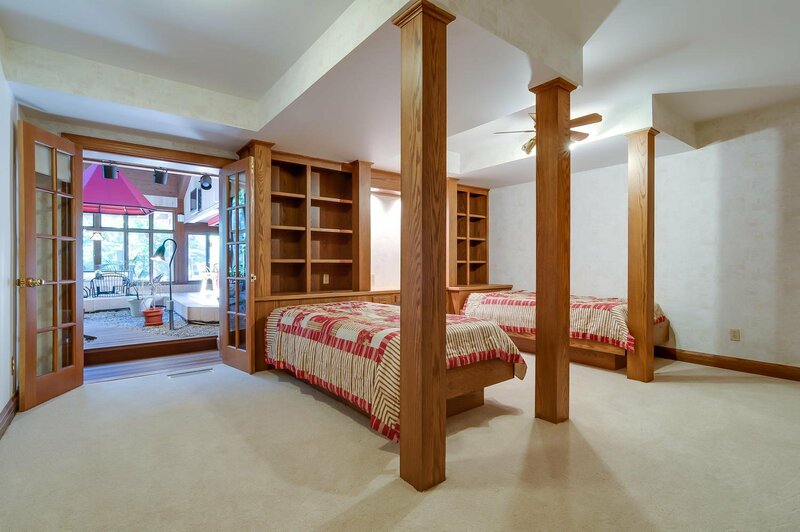 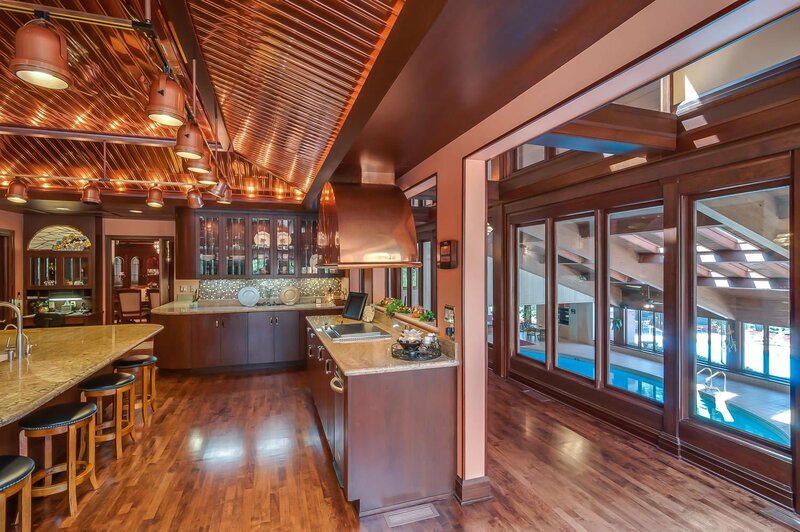 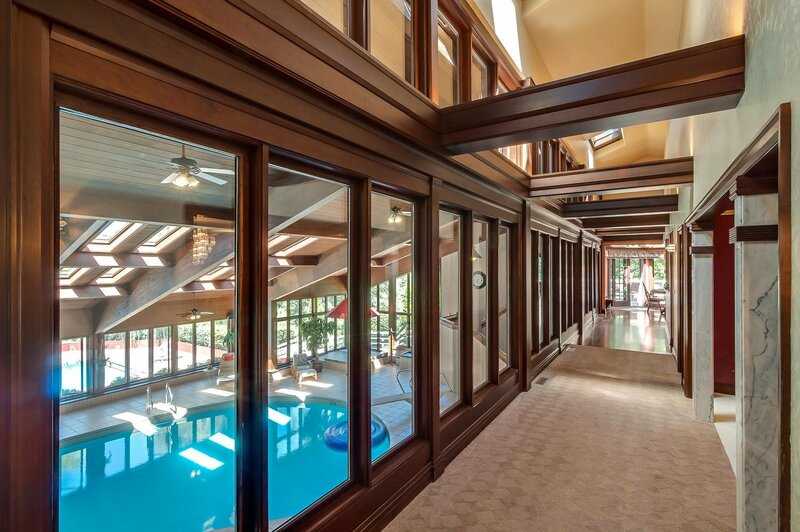 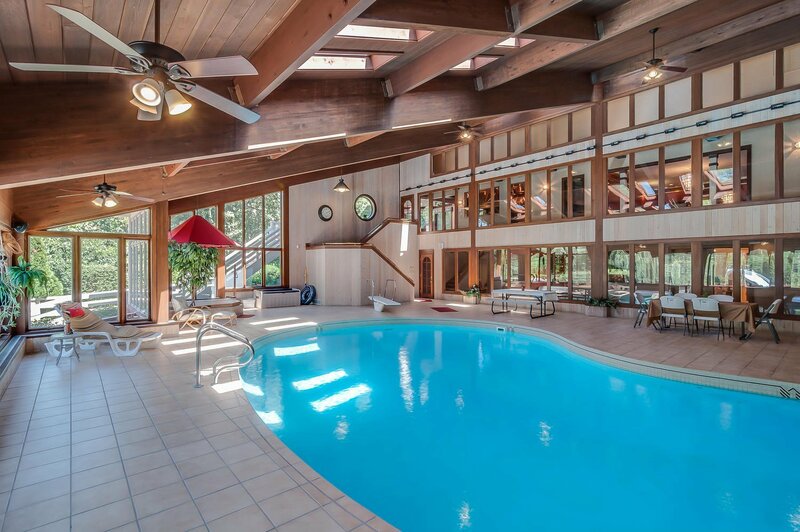 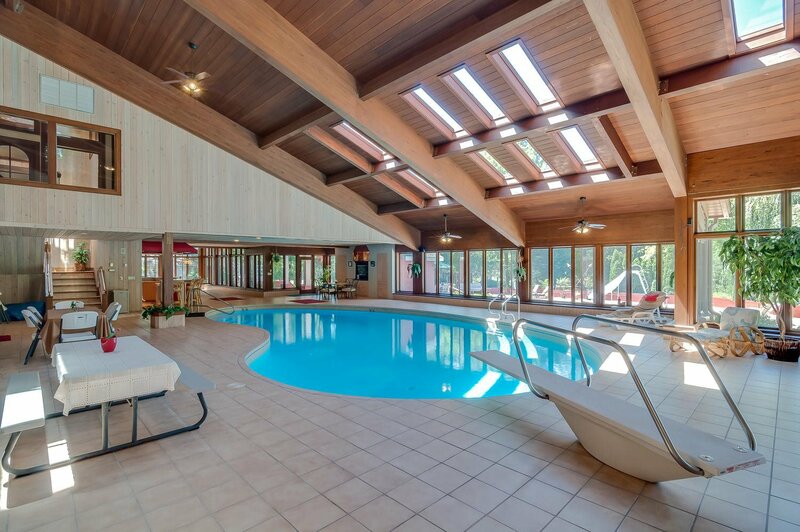 Walk down the lengthy hallway overlooking the indoor pool to three impressive rooms. 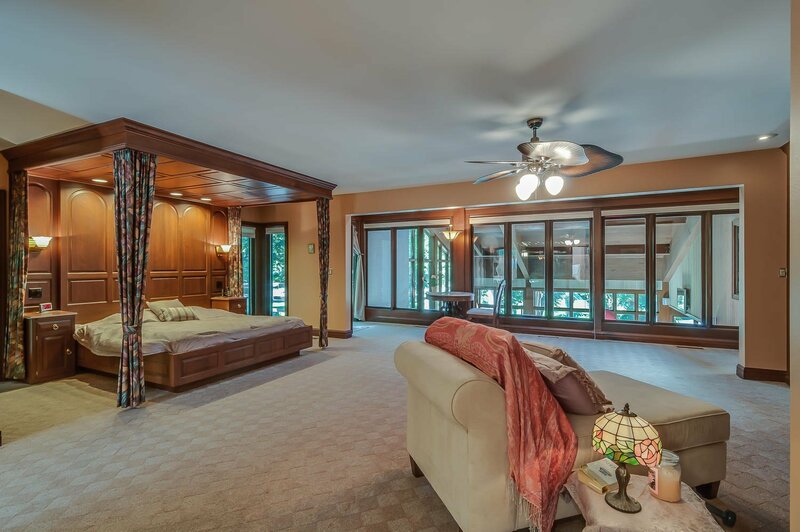 The Living Room with fireplace, French doors and skylight, over to the Great Room with tiled fireplace, wet bar, beamed ceiling, panoramic windows and walkout deck with fantastic views of the creek and ponds. 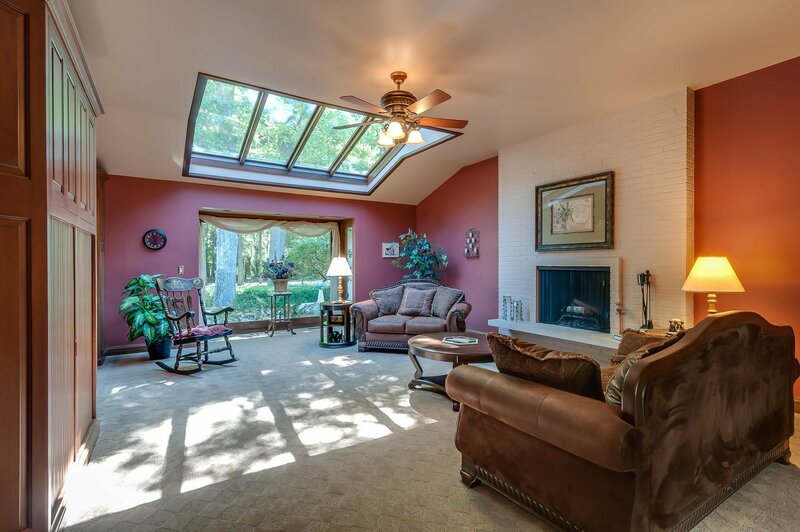 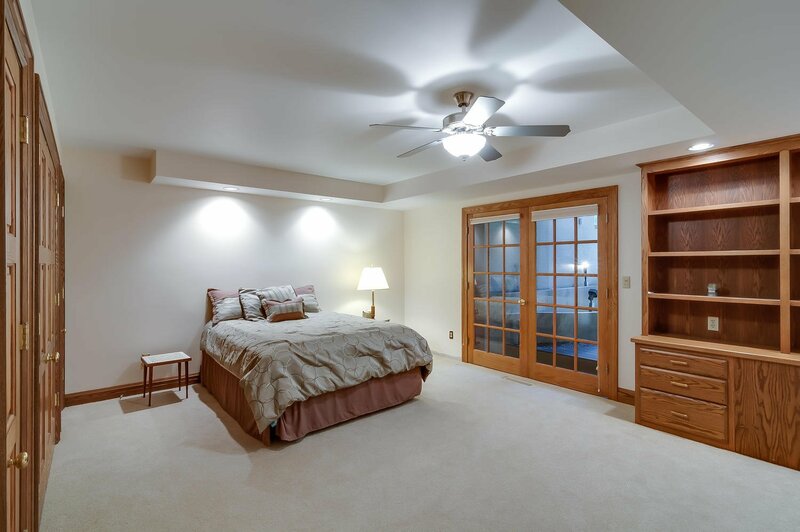 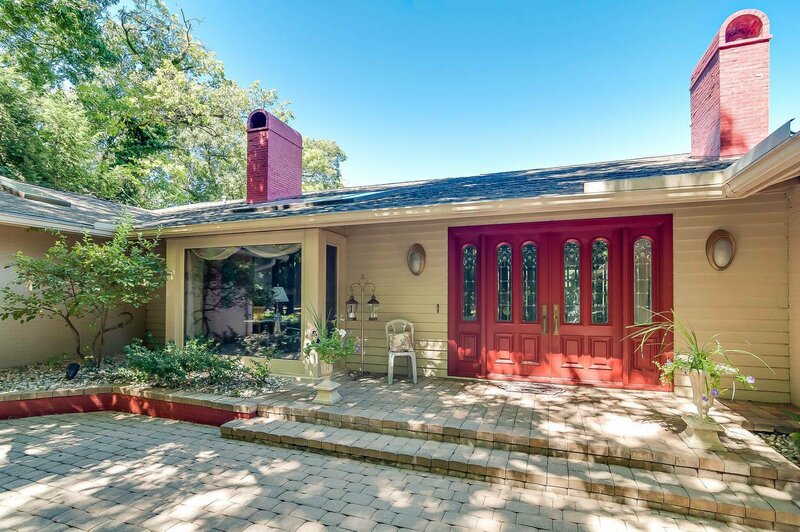 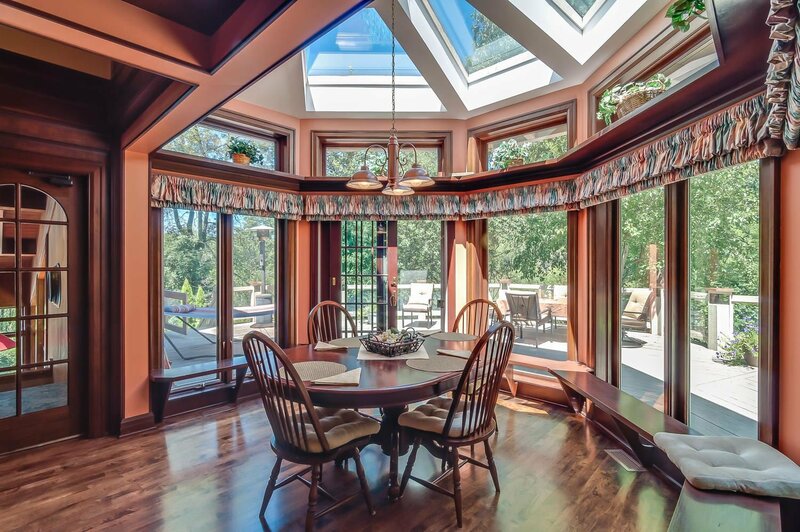 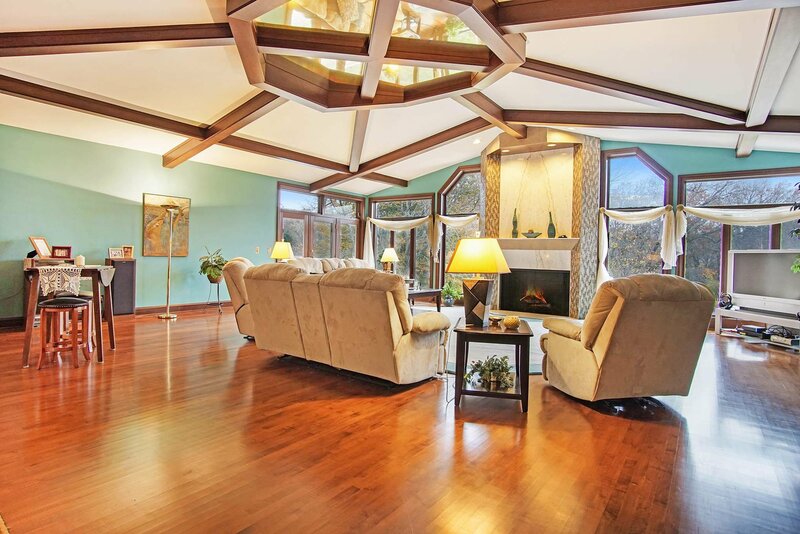 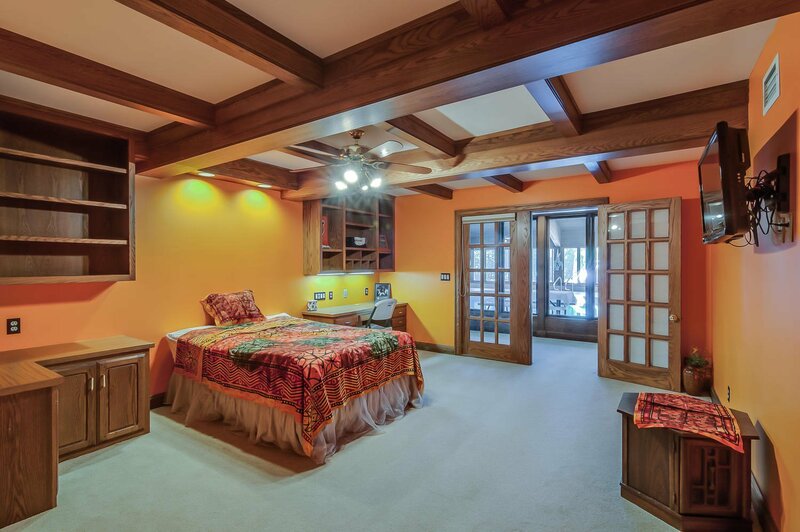 The Master is splendid and so inviting with its own fireplace, windows with views and walkout deck. 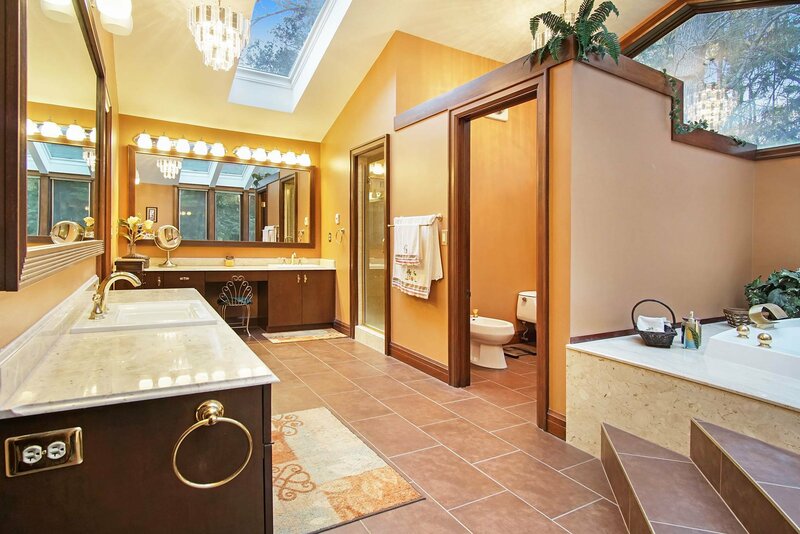 The Master Bath is opulent with jacuzzi, skylights, bidet marble dual shower and chandelier. 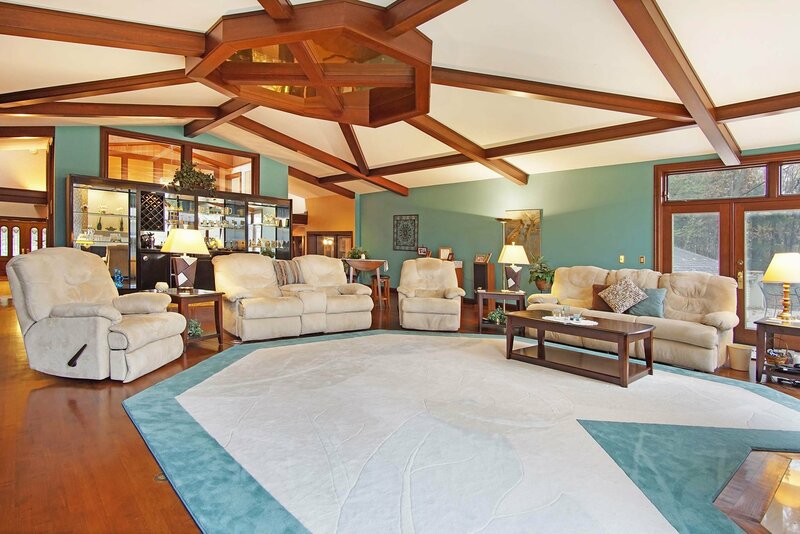 TRULY A MAGNIFICENT HOME AND LOCATION AT AN AMZING PRICE LIKE NO OTHER. 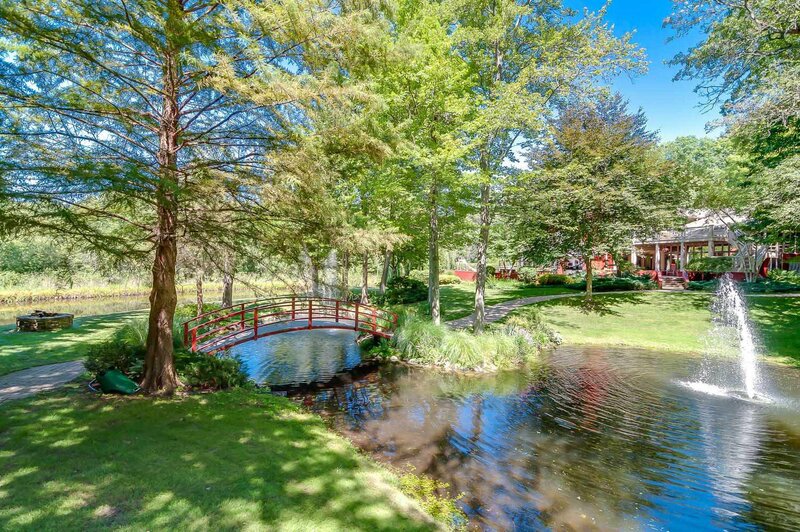 GET AWAY FROM IT ALL WITHOUT GETTING AWAY FROM IT ALL.